Much like frazzled parents who promise their kids that they will get more Lego sets soon, only to launch into panic mode when Christmas rolls around and the toys are flying off the shelves, Warner Bros. suddenly realized it actually has to release all these movies it’s announced. 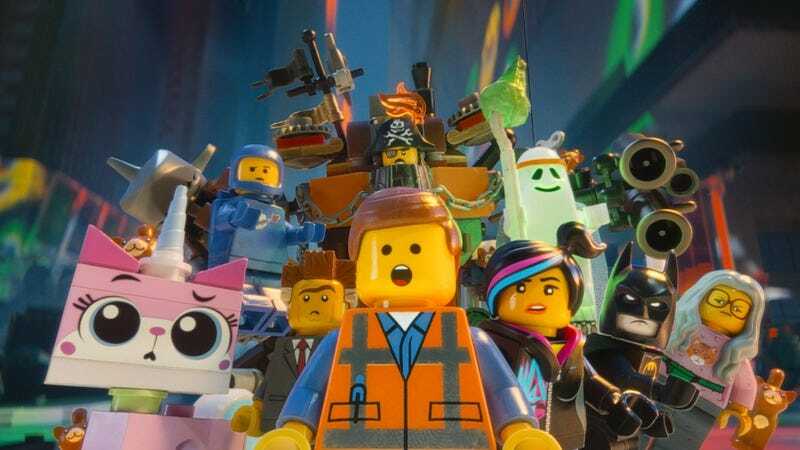 Deadline reports that The Lego Movie Sequel, Lego Batman, and the Lego Ninjago film have all received official release dates, meaning they can no longer be put back in the box and returned. Lego Batman will be the first out of the gate—the grumbly caped crusader will be released on February 10, 2017, when it will apparently focus on building some better female Legos. Next up will be Ninjago, which is like Legos but with more karate chopping. The film will open on September 22, 2017, a year later than was initially slated. Finally, The Lego Movie Sequel, a.k.a. We Couldn’t Decide On A Title, has been set for a May 18, 2018 release. Of course, this doesn’t tell us when we can expect the additional Lego spinoff movie currently in development by Jason Segel, Billion Dollar Brick Race, or the countless other Lego movies presumably being affixed onto Warner Bros.’ production schedule at this very moment. “Man, figuring out where all these Lego movies go—some assembly required, am I right?” an animation executive probably said, before being broken into component parts and rebuilt into a more worthwhile human by their co-workers.